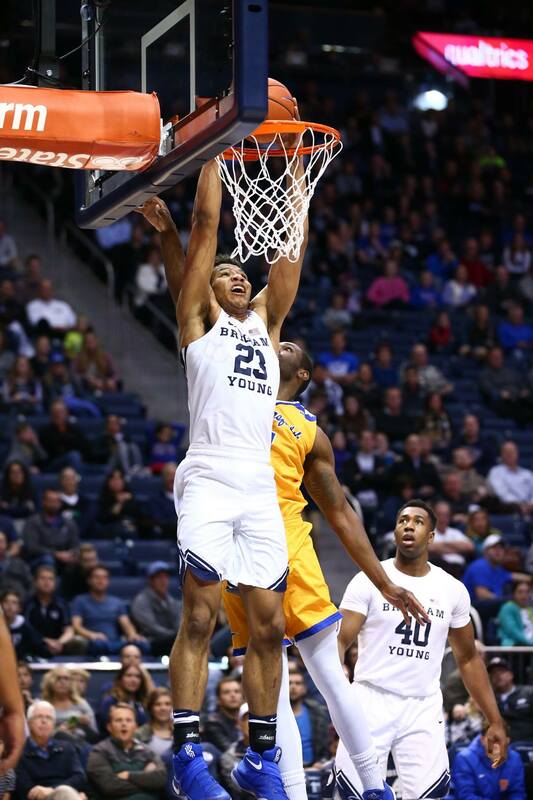 PROVO – Yoeli Childs’ career night helped BYU men’s basketball run past CSU Bakersfield 81-71 Thursday night at the Marriott Center in the final nonconference game of the season. Childs picked up his second-straight double-double with a career-high 19 points and 12 boards while adding a career-high four blocks. Eric Mika also had a double-double with 13 points and 10 rebounds. Nick Emery led the Cougars with 23 points and TJ Haws had 14 points to round out the double-digit scoring production. BYU (9-4) outrebounded CSU Bakersfield (8-5) 45-38 for the game and shot 52 percent from the field compared to 38 percent for the Roadrunners. Mika scored the Cougars’ first six points of the game, and Haws and L.J. Rose followed with 3-pointers to give BYU a double-digit 12-2 lead. An Emery 3-pointer extended the Cougar advantage to 15 at 19-4 with 13:08 left until the break. Emery’s third 3-pointer of the night ended a nearly four-minute BYU scoring drought, giving the Cougars a 25-11 lead with eight minutes to go in the half. Later, Steven Beo ran coast-to-coast to collect a layup that extended the advantage to 20 at 37-17, forcing a CSU Bakersfield timeout. A Roadrunner trey in the final seconds of the half brought them back within 20, trailing 47-27 at the break. Both teams took to the court at a frantic pace to begin the second half as another Emery 3-pointer put BYU up 56-34. CSU Bakersfield then went on a 14-4 run to cut into the lead, with help from two Damiyne Durham 3-pointers, trailing just 13 at 63-50. The Roadrunners eventually cut the lead to single digits after a jumper, down 70-61 with five minutes left in the game. 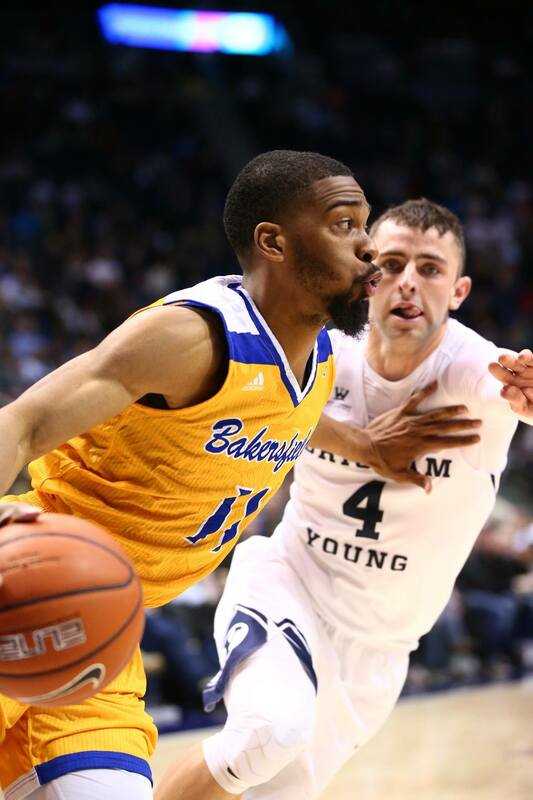 CSU Bakersfield’s rally proved too late, however, as the Cougars ran away with it down the stretch, winning 81-71. BYU begins West Coast Conference play next, hosting Santa Clara Thursday, Dec. 29, at 7 p.m. MST. The game will be broadcast live on BYUtv and simulcast on BYU Radio – Sirius XM 143. It will also be broadcast on the Cougar IMG Sports Network and KSL 1160 AM/102.7 FM.